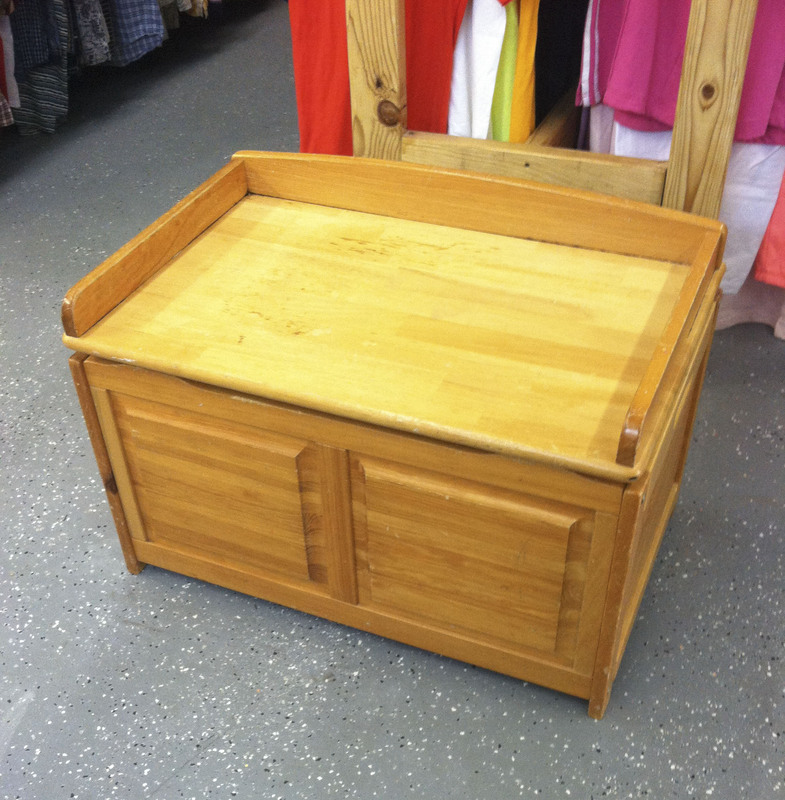 Thrift shopping and furniture restoration go hand in hand. It’s not very often that you will pick up a piece of furniture at the thrift store and it’s the perfect color and style that you wanted. 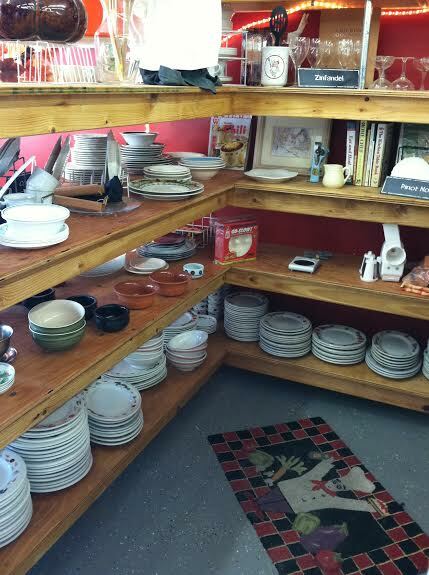 If you have ever landed on such a thing, then you need to praise the thrifting gods and consider yourself lucky. Luckily for me, restoring furniture has become one of my favorite hobbies, and while I’m still new at it, I love to see how I can transform something unappealing to me into something beautiful. It’s pretty powerful to have that control over your furniture and it makes me appreciate what I have a whole lot more. Knowing that I was not the only one who feels this way, I decided I wanted to start a furniture restoration program with a local nonprofit. We would have local artists and handymen work with kids to restore furniture and sell it, with the profits being donated to different local charities. 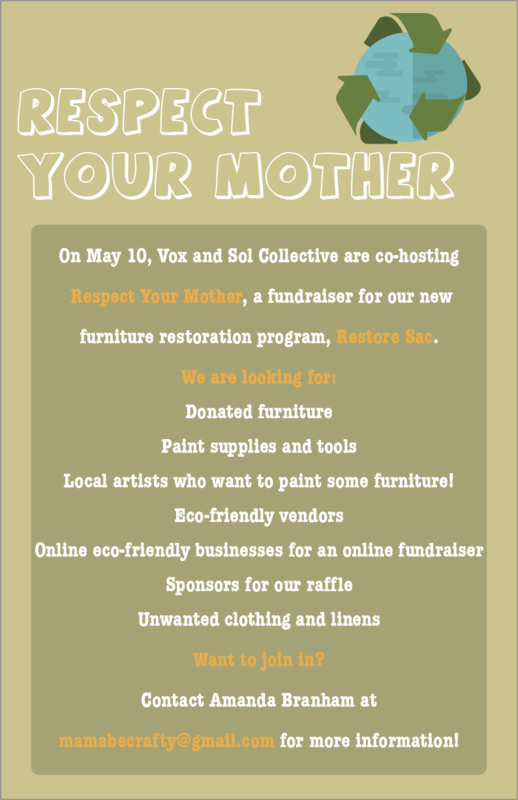 Then, we landed on Respect Your Mother – a fundraiser I’m putting together with Vox Sacramento and Sol Collective that will benefit our furniture restoration program we are hoping to open soon. Now that the event is a little over seven weeks away, I thought it would be the perfect time for an update and to spread the word some more! So, if you live in the Sacramento area and want to volunteer and/or sponsor the event, please e-mail me! You can also sponsor from afar so if you want to donate to the raffle, e-mail me so we can set it up! And please help spread the word by sharing this post as much as you can. And you can find the event on Facebook! Thank you for your help! I just got into baking last year when I was entering my “nesting” phase (which hasn’t left yet, so I think it’s more than a phase now, it’s an eternal state of being). It quickly became an addiction for me, and I find myself at more baking and cooking stores than clothing stores, now. 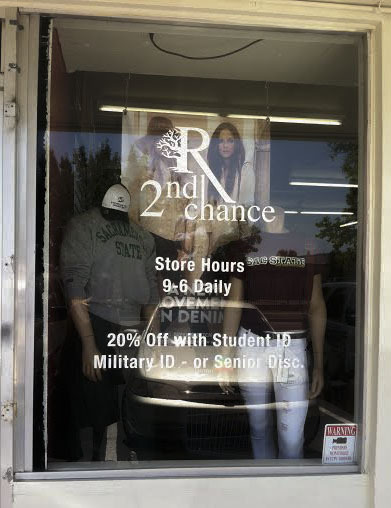 Sometimes, I don’t even go in there to buy anything, I just love to look. I especially love going to the Baker’s Boutique in Stockton, they serve you cupcakes that are made in the back! Since I love baking so much now, I also happen to love anything that goes with baking. I’ve seen some cute baking inspired clothing and prints all over Pinterest and Etsy, and I wanted to share some of my favorites with you. Culinary Inspired Canvas Tote from KatchACanvas – When we first had Cecilia, we had what I’m pretty sure was the world’s largest diaper bag. Then we downsized to a large backpack (not much of a downsize, to be honest). Now, I normally just carry a couple diapers, some wipes and her formula in my purse. Since she is getting more into her toys and loves having them with her, I’m thinking this tote would be perfect. And the best part – the shop is run by preschool teachers from the Philippines. France, one of the owners, lives in San Diego now and continues teaching in America. They donate one book to a needy child in Philippines for every tote that is purchased. This one goes for $12, which is not bad at all. Ladies Kitchen Mixer T-Shirt from Caustic Threads – Erica Voges, the wonderful lady behind this shop, drew up the design herself and then screen printed it on the shirt. She makes every item as the order comes in, so it’s made fresh, just for you. Voges is a mama in New Mexico, who wanted to screen print for a long time, and finally got started in 2010. The shirts are all dyed by her and she screen prints everything by hand. Pyrex art print from eat.say.love. – Ashley, who is the owner and designer at eat.say.love, is a graphic designer in Boston, MA. She individually prints each print on archival paper and ships them off herself. There are a lot of other cute prints like this in her shop, such as “Fork It, Let’s Get Takeout,” a conversation that has been shared many times in this house. And if you follow her on Instagram under @eatsaylove, you can get exclusive deals and giveaways! Baking is Happiness Large Digital Vintage Image from Pretty Things For You – This Etsy shop is full of digital vintage images that can be purchased for a really good price. This print is only $2 and is available for immediate download. You can use the images on all of your crafting projects. The image can be sold as a finished project, or if it was digitally layered and flattened. It cannot, however, be sold as is. That’s just not cool. Made with Love Wooden Stamp from Little Ink – Suzie, who runs this online store, mixes her love of natural fibers and material with her love of bold colors to come up with her designs. This stamp is $30 and measures 32mm x 25 mm. It’s mounted with a beautiful black wooden handle and also comes in a cloth pouch. You can use this design for all of your homemade goodies, and any clothing you make by hand. That would be so cute! One of my favorite things about blogging is finding hidden treasures like these. I want each and every one of these items, and will work on purchasing all of them when I can. Like I’ve said before, I promise to never share anything with you that I wouldn’t get for myself. 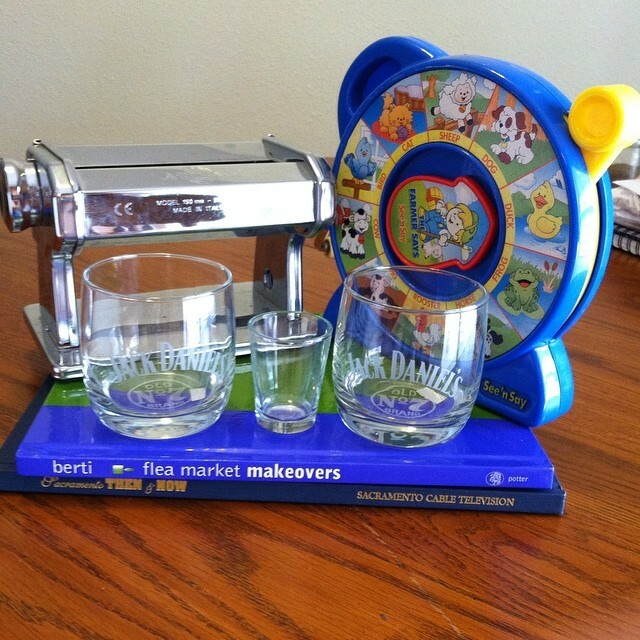 Do you know of any cute baking-related items? Share them on Facebook, Twitter and Instagram with the hashtag #favoritefridays. Follow me on Pinterest for more of my favorites! So, it’s time for some more shameless self promotion! First thing is first…I officially have a Sellers permit to sell online! Hooray! So, on to the projects. The indiegogo campaign has ended for baby burrito collective and although we didn’t reach our goal, we we still got enough to help fund some of our projects. You can still donate on the baby burrito collective site if you missed the campaign and want to help out! You can also check us out and follow us on Facebook. We’re offering memberships at $25 per month, or $250 per year. The goal of the collective is to promote work of artists who are more interested in working with their craft than promoting it. I help artists promote their art and get them involved with local craft fairs and what not. I just want to give people more exposure and show them new and creative opportunities. For the membership rate, I help them create artist kits, write blog postings on them, and allow them to sell their work on my site (for no fee, mind you) and soon enough, we will have an online classroom! Yay for online classrooms! Next up…Mariposa Blossoms! The online boutique I started with my friend Salina where we sell homemade and handmade goods. Some of them are repurposed and some we created from start to finish. And we have a new seller on our team…my wonderful momma! The items are available on our site and on Etsy! Right now, I’m working on a repurposed corkboard and doing some more cheese grater jewelry holders! I have so many ideas for what I want to work on, just need the time. I’m hoping to get all of my school and work done before Friday and just devoting Saturday and Sunday to family, crafting, gardening and blogging. All of my favorite things. School starts at the Academy of Art University in September! I am so over the moon excited that I can’t even describe it. It’s what I have been waiting for. Once I have those tools under my belt, I will be able to completely do what I want and that is such an amazing feeling to have. What cool stuff are you working on? Post in the comments or share on Facebook and Twitter!